The most famous island of the Aegean and the heart of the Cyclades. Mykonos is not just another Mediterranean destination, but a meeting point of the international jet set, which over the years has become a symbol of freedom of artistic expression and the good life. The island has centuries of history, which fully justifies its current character and special aura. It has taken its name from the hero Mykonos, son of Aenean and Ryos. In mythology, this is the place where Hercules killed the invisible giants and is through this myth that the phrase “Everything under one Mykonos” was created. It means that many different things and people all come together in one place. A phrase that follows Mykonos to date and encapsulates the islands free character. Mykonos was once the island where visitors who wanted to cross to Delos and admire the antiquities, only came. Over the years and with the help of famous internationals from politics, art and entrepreneurship, the island’s popularity soared. They too helped to create Mykonos’ motto… none other than “Anything goes!”. The capital of the island is called “Chora” also known as “Little Venice” because of the houses having their foundations in the sea. Although it is full of shops, nightclubs and restaurants, it manages to maintain the traditional Cycladic style with low white houses with blue wooden shutters and narrow alleys filled with colorful flowerpots. The beaches of Mykonos are the best of the Aegean. 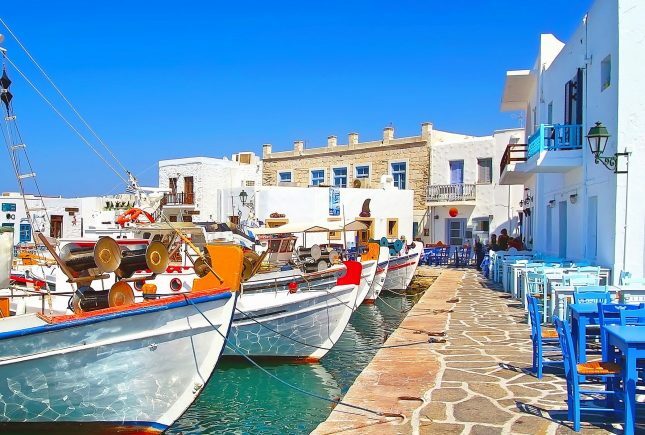 From the cosmopolitan Super Paradise, Paranga and Psarou to the more quiet and secluded Loulos, Fokos, Myrsini and Merchias all showing in the best way that Mykonos is really an island of great contrasts. What is also worth mentioning is the amazing Mykonian cuisine, which in fact has greatly affected the Greek gastronomy as a whole. It is no coincidence that all famous Greek and international top chefs meet here every summer. 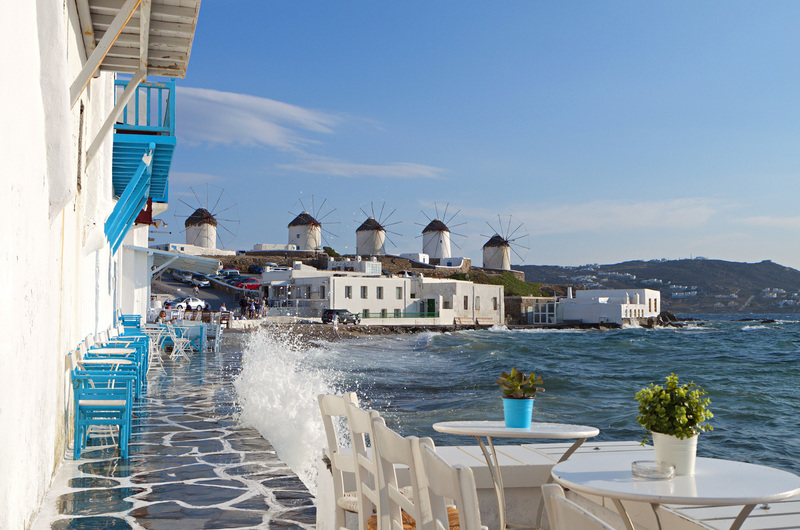 Mykonos has a truly unique ability to lure its visitors to its charms. Just leave everything behind and step into the island’s groove. The Mykonian experience will fascinate you! Visit Armenistis lighthouse by foot. It is one of the oldest of the Cyclades and it’s worth observing the brilliantly designed mechanism. 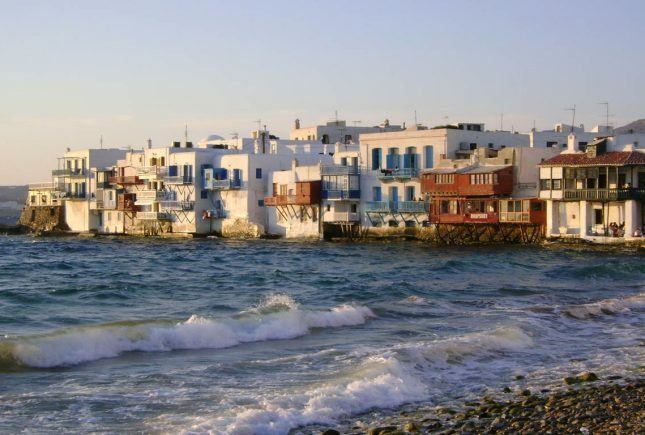 Don’t leave without exploring the three small islets of Mykonos: Rineia, Tragonisi, Ktapodia. 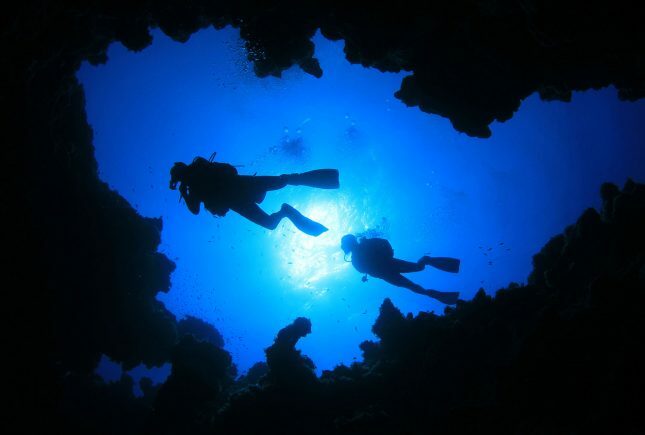 Unexplored caves and turquoise waters create an almost eerie landscape. Enjoy the delicious local cuisine and the famous “Kopanisti”. The taste of this cheese rocks, just like the island. Visit Delos and admire the magnificent ancient civilization. All of the island is one big museum. 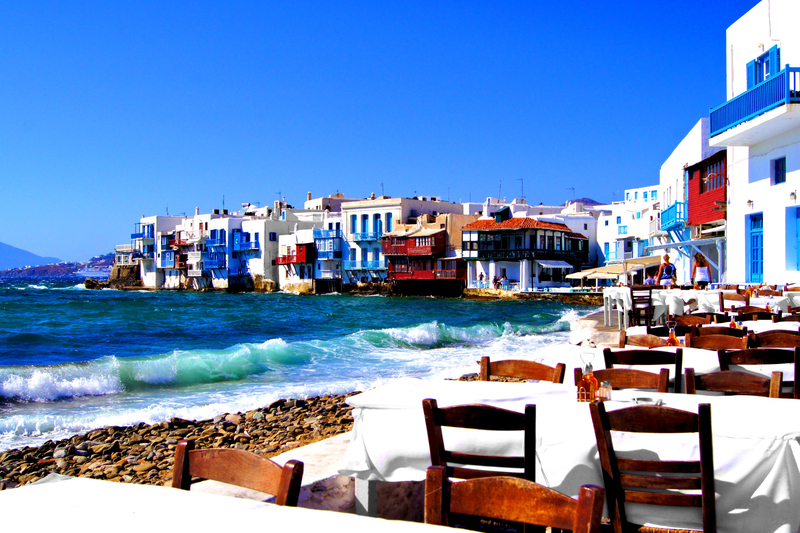 Do your high-fashion shopping in Chora and then relax enjoying a drink by the sea and the view of the Mykonian sunset.